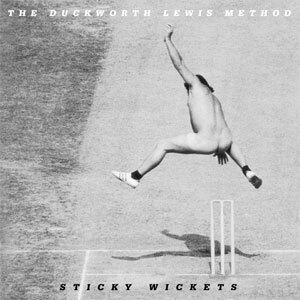 Houston Roby reviews the new Duckworth Lewis album "Sticky Wickets"
For those who don’t know, I’m an American. Unsurprisingly—like 99% of my fellow countrymen—I know bugger all about cricket. Well, that’s not entirely accurate. Like any good Anglophile who grew up watching imported BBC television programs and has read Hitchhiker’s Guide To The Galaxy 30 times, I’m at least familiar with some of the nomenclature: bowler, batsman, crease, pitch, Test match, Ashes. In the US, this knowledge almost qualifies me as an expert; elsewhere in the world, I’d be sussed out immediately as an impostor. So, what’s all this got to do with the price of tea in China? Nowt. But it has everything to do with The Duckworth Lewis Method (the band, that is, not the mathematical formulation designed to calculate the target score for the team batting second in a limited overs match interrupted by weather or other circumstances — and yes, I had to look that up), a duo who owes its very existence to the game of cricket. In 2009, Neil Hannon from The Divine Comedy and Thomas Walsh from Pugwash decided to join forces for a one-off concept album devoted to cricket. Why, you might ask? Because of a shared love of the game, and a kind of Mt. Everest, because-it’s-there attitude. The album was received well and got itself nominated for an Ivor Novello award (loosely, a British Grammy). 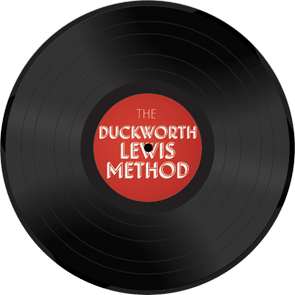 The gentlemen hadn’t originally intended to make The Duckworth Lewis Method Part 2, but they greatly enjoyed working together, and surely just one cricket concept album is not enough for this world. Like the debut, I’m sure Sticky Wickets is brimming with cricket terminology and inside jokes I have no prayer of understanding or recognizing. To appreciate the songs on that level, it’s necessary to have grown up with the sport. You need linseed oil running through your veins. (Linseed oil is what one uses to care for a cricket bat, and yes, I had to look that up, too.) Luckily, Neil and Thomas are smart lyricists, as well as musical encyclopedists. And just as Pixar cartoons can be enjoyed by children and adults alike, you don’t need cricket whites in your closet to have a jolly good time. So grab your chance, because catches win matches, and with Sticky Wickets The Duckworth Lewis Method don’t drop the ball. Fun fact: The album cover for Sticky Wickets? That’s an actual photo from 1975. During an unexciting match between England and Australia, Michael Angelow was bet £20 that he wouldn’t streak across the pitch. Having imbibed a few beers, he took the bet. He hadn’t planned on jumping over the wicket, but when one suddenly appears in front of you, what else are you going to do? Upon landing, Angelow was grabbed by security and arrested. When he showed up in court the next day, the magistrate asked how much the bet was for. He replied, “20 pounds.” The magistrate fined him that very amount and set him free.